Alexander Pushkin, Russia’s beloved poet, has become caught up in the middle of a political battle in Moscow. 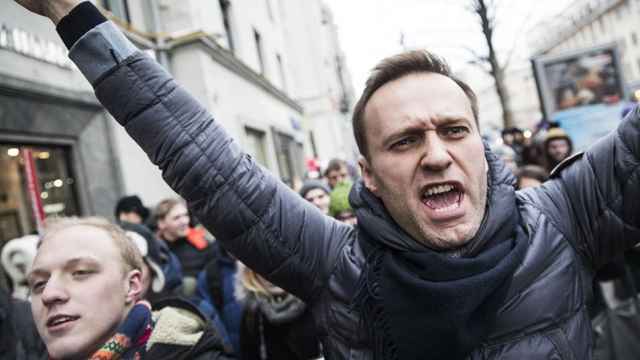 When thousands of protesters flooded the city centre on Sunday as part of nationwide anti-corruption demonstrations organized by opposition leader Alexey Navalny, they congregated around the city's iconic Pushkin statue. Within hours, the poet was engulfed by protesters who covered him in posters in support of Navalny and “Medvedev to Court” stickers. 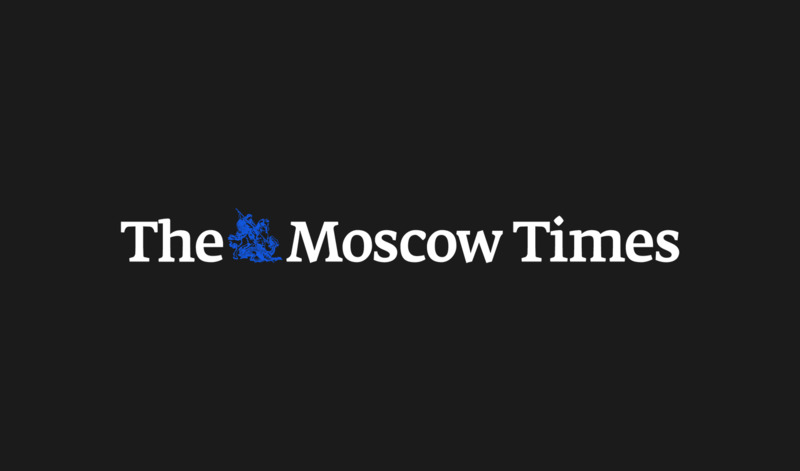 The protest culminated in over a thousand arrests – a record in Moscow under president Putin's rule. 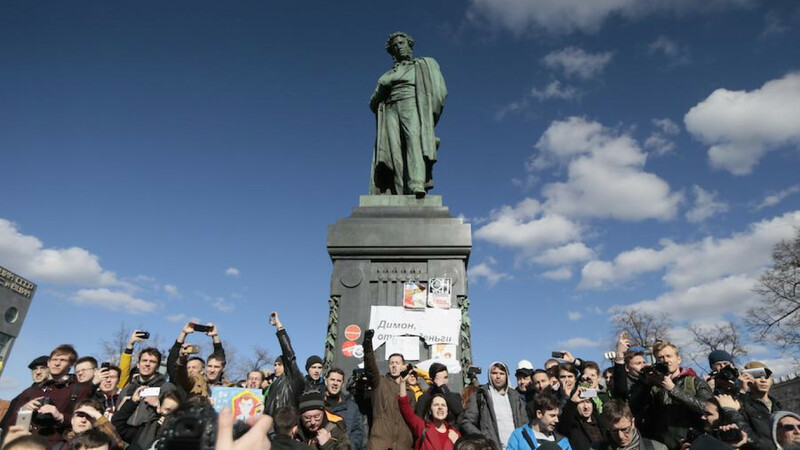 With the most violent clashes between police and protesters taking place at the feet of the Pushkin statue, it became one of the symbols of the demonstration. Dozens of iconic photographs appeared of protesters with Pushkin. Russia's most famous political cartoonist, Sergey Elkin, drew a picture of Pushkin being carried away by riot police with the caption: “But I'm just a statue!”. But Pushkin’s involvement in the protest did not end there. And what happened next to the poet is emblematic of Moscow’s long history of blocking public spaces in the aftermath of protests to prevent more gatherings in the city's squares. The day after the protest, the statue was cordoned off and city authorities announced it would be reconstructed. “We could not have predicted these political developments,” Kondrashev said of the protests. But many find this hard to believe. “This is nothing new,” agrees Moscow historian and urbanist Pavel Gnilorybov, who says this is a typical post-protest reaction by authorities. 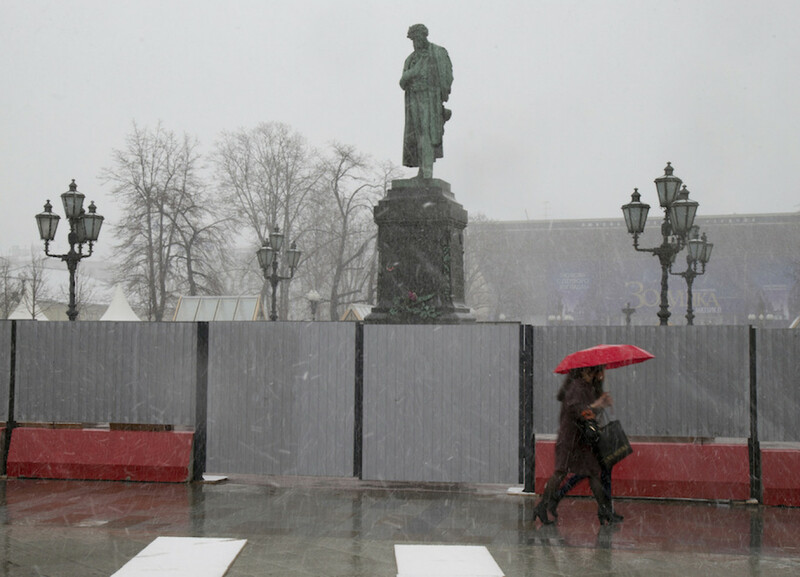 In Moscow’s long history of closing public spaces after protests, the best example is the reconstruction of Triumfalnaya Square, formerly known as Mayakovsky Square. The statue of the Soviet poet there has been a gathering point for political dissidents since the 1950s. But the KGB found a variety of ways to stop famous poetry readings from happening, including circling students around the statue with snowplows. In 2009, Triumfalnaya Square was once again a meeting spot for protesters. 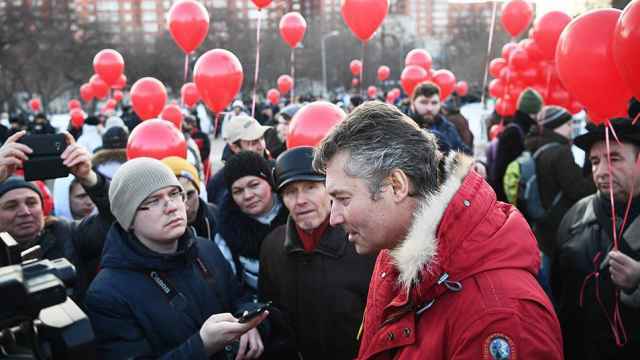 On the 31st day of each month, protesters would gather on the square to defend the 31st article of the Russian Constitution, which guarantees the freedom of assembly. “People were gathering on the steps of the square, says Gnilorybov. “So authorities decided to reconstruct it.” Mayakovskaya is no longer a square, in the traditional sense: City authorities have installed all sorts of objects — including large swing sets — to prevent crowds from gathering. Muscovites and tourists also used to be able to walk up to the Russian White House, the primary office of the government. But after October 1993, when Russia was on the brink of civil war and protesters came out in their thousands to stop a KGB coup, authorities erected fences around the building. It is now completely inaccessible. Then there was the reconstruction of Manezhnaya Square, which used to see regular demonstrations and has been shut since. The Administration of the President, in the city's central Kitay Gorod district, is also cut off by fences. Under President Putin, more and more government-associated buildings are cut off from the public. Even the Soviets and the Tsars, Gnilorybov says, did not limit public spaces after dissent as much as Russia currently does. As Pushkin witnessed this weekend, authorities have reached absurd levels of limiting access to government buildings and the space to protest.